With lithium-ion batteries seeming to have topped out in their capabilities, battery researchers are looking at new ways of storing energy. Zap&Go in England and Graphenano in Spain are exploiting a more common element to good effect, crafting carbon batteries that charge quickly and last thousands of charge-discharge cycles. Both attack their goals in very different ways. 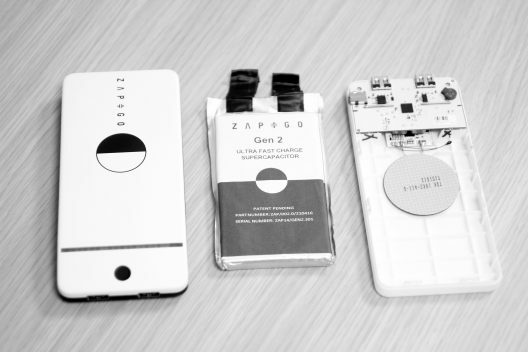 According to Microbattery.com, the Oxford-based organization Zap&Go has created and delivered a carbon-particle battery consolidating the superfast charging capacities of a supercapacitor to gain rapid charging and long cycle life. Unfortunately, as far as electric vehicles go, it’s not quite ready for prime time. The good news is that it’s on a well-structured timeline that will bring it to the vehicular world in the next few years. Combining conventional battery with supercapacitor technology, Zap&Go uses nanocarbon materials to cut vehicle charging times to five minutes, roughly equivalent to refill times for gasoline vehicles. The company’s Carbon-ion or C-ion battery is based on years of research at the University of Oxford. Voller notes the battery now in its third generation, does not need rare earth minerals or toxic chemicals like cobalt. Instead it sources its carbon from coconut shells, although Voller anticipates that source to change over time as demand grows. Zap & Go’s batteries are low voltage at this point, but aimed to greater output in the near (or not-so-near) future. Voller claims the new battery can offer longevity: “It would be a 30-years useful life or 30-year warranty.” Because the C-ion relies on an electrostatic, rather than an electrochemical, reaction, no degradation over thousands of hours of use has been observed. Like the traditional disclaimer that the new miracle battery shows great promise, but it five years from commercialization, the company says its fourth generation cells will be followed by “gen 5 and gen 6” batteries that will be suitable for vehicles – in about 2025. The cells can be made in the same factories and on the same production lines as existing lithium ion batteries. But the firm might consider pushing the performance limits more quickly, since competitors are growing in number and competence. With applications such as grid storage and recharging stations a realistic use now, we can only anticipate Zap&Go’s next moves. We would love to see more detailed specifications of what we can realistically expect for EVs in the meantime. While Zap&Go may be a little vague on detailed specifications for now, Grabat, a Spanish graphene provider and battery maker finds a different path to using carbon to store energy. Their pouch cell in this video seems nearly indestructible, and helpfully, non-flammable despite some “creative” destruction. This demonstration, similar to tests on Zap&Go cells, should give electric vehicle users great confidence. Partnered recently with Abtery, a Swedish electric drive train design firm, executives from both firms repeat tests from the first video, demonstrating extreme faith in the battery. Bare handed, other than protective gloves (probably to protect the cells), Martin Martinez, president of Grabat, shows the safety and reliability of the pouch cell. Observers include Jose A. Martinez, Grabat Vice President and Inaki Fernandex from Aspid Cars. Aspid makes supercars, and this shows a possible future for this performance manufacturer. 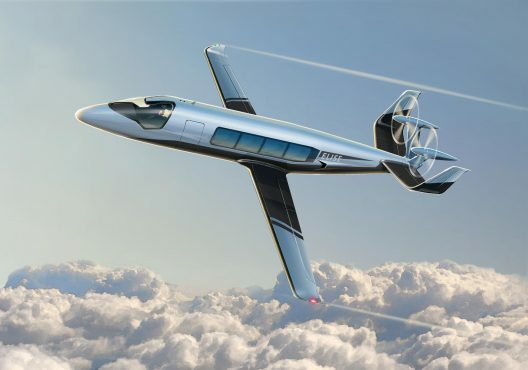 Abtery and Grabat are part of a consortium developing a futuristic small transport aircraft, probably slated for low-altitude, high-speed flight based on the large windows that would not take kindly to pressurization. The project explains, “The name Elise is an acronym for “Elektrisk Lufttransport i Sverige” (Electric Aviation in Sweden). The project is funded by the Swedish innovation agency Vinnova. Part of an even larger aspirational organization, Elise is a small part of the group’s desire to enhance climate and the environment while reducing social issues such as poverty and hunger. This presentation shows part of the consortium’s recent symposium which explains where Elise fits in the overall scheme of electric aviation. We will have a more detailed write-up on Elise soon.